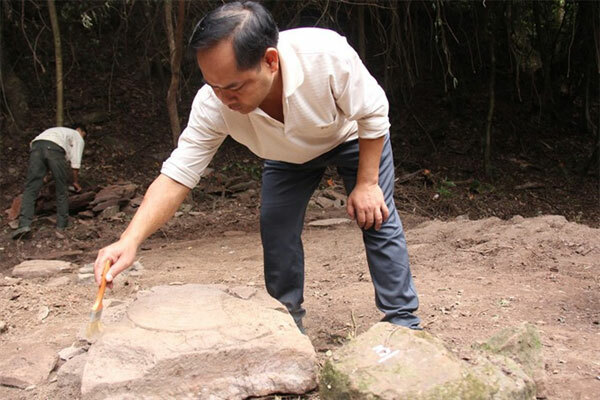 VietNamNet Bridge – An excavation team from the Viet Nam Institute of Archaeology and Bac Giang Province Museum discovered valuable artifacts after a month-long excavation in the remnants of Ma Yen Pagoda. Ma Yen Pagoda is located in the northern province of Bac Lung Commune, Luc Nam District of Bac Giang Province. Ma Yen is also the name of a mountain, shaped like a horse’s saddle. This region has some ancient sites, including Hinh Nhan Mountain (which looks like a human being standing) or the Elephant mountain, and is surrounded by the endless pine forest. Construction materials and daily items made of ceramics from different periods of time, in which the earliest was during the Tran dynasty (the 13th-14th century), were found. “Early this year, we also held an evacuation session but didn’t expect much because the pagoda had been damaged by locals searching for antiques. But this time, the result was beyond our expectation,” said Hiep. According to historical documents, Ma Yen was built from the Ly-Tran dynasty (12th-13th century), yet till now, there is still not enough archaeological evidence to affirm that the structure was built as early as during the Ly dynasty (the 11th). With construction materials and decorative patterns discovered, it can be identified that the structure appeared during three periods of time, which included the Tran dynasty (13th-14th century) with the discovery of the lotus petal-shaped stone base (used as a pedestal for the pillar in a building), the Le Trung Hung dynasty (the 17th-18th century) and the Nguyen dynasty (19th century). A common thing among pagodas during the Tran dynasty is that their rear is protected by the mountain, facing a big stream, and as such, their location was often in a remote high mountain peak and away from the residential area. The excavation team hopes to discover decorative items shaped like the bodhi leave, dragon or phoenix’s head, which were very popular in pagodas during the Tran dynasty. With the artifacts found and reference to historical documents, Ma Yen is considered as one of the great heritage relics, and to have a connection with and be influenced by Truc Lam Zen from the Tran Dynasty, according to archaeologists. Ma Yen lies to the west to the Yen Tu Mountain region, which was the founding place of Truc Lam Zen. 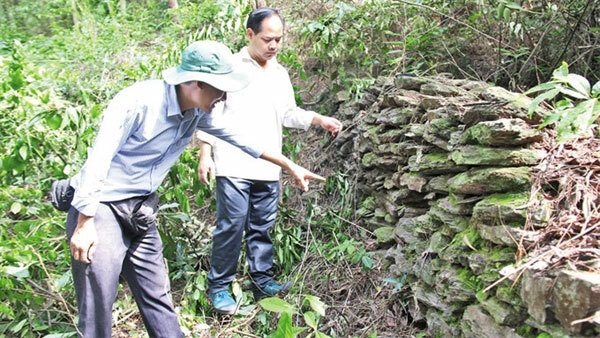 Yen Tu Mount, located more than 1,000 metres above sea level, was found by King Tran Nhan Tong. After successfully leading the Tran dynasty to its final victories over two Mongol invasions, King Tran Nhan Tong gave the throne to his son and went to Yen Tu in 1299 to create the Truc Lam Buddhism Zen Sect, which had a significant impact on the development of Vietnamese Buddhism.